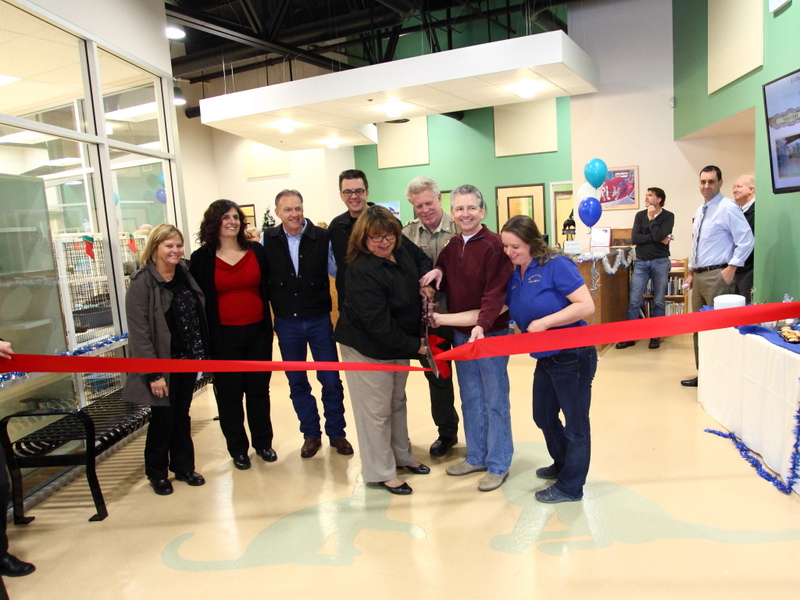 Well we are all official down here at the NEW El Dorado County West Slope Animal Shelter. On Wednesday, December 10th all the major players, in the construction of “my new place”, converged on the lobby and strung up a large red ribbon across the path of my visitors. I was assured that it was only temporary and that after some speeches and the like it would be cut in half and removed. It would signal that we are now officially open. I read up on the internet after the event and found that this is one of those necessary human formality things. As long as these things bring me new fans and head pats I am good with it. As you can see from the photos I provided supervision through most of the event and allowed the attendees to visit with the little tykes in the cat adoption room. Some El Dorado County Supervisors providing some attention to the little tykes in the cat adoption room. Me, Bullet, center stage at the ribbon cutting ceremonies. Thanks are in order for the cool dog shaped flower arrangement is from Flowers on Main in Placerville and the nifty animal and paw shaped cookies are from Sugar Lillie Bakery in the town of El Dorado. Cute dog shaped flower arrangement from Flowers on Main in Placerville. 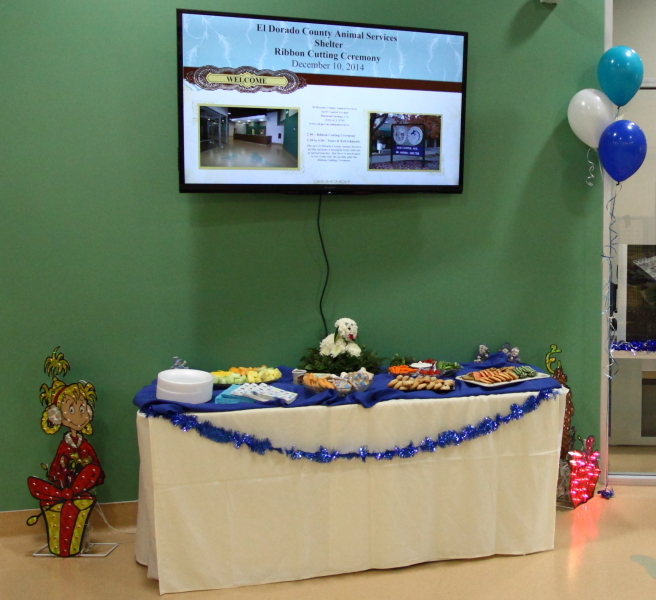 There was also a slide show of the whole shelter construction process running on the lobby monitor – a thank you is in order to all my deputies for providing photographs for this. (Alli, Janice, Donna, Lisa & Barb L). The administrators are telling me that there will be another event for my fans this coming spring. They are not sure if they are calling it a grand opening or an open house. Either way plan on coming in to visit me then. 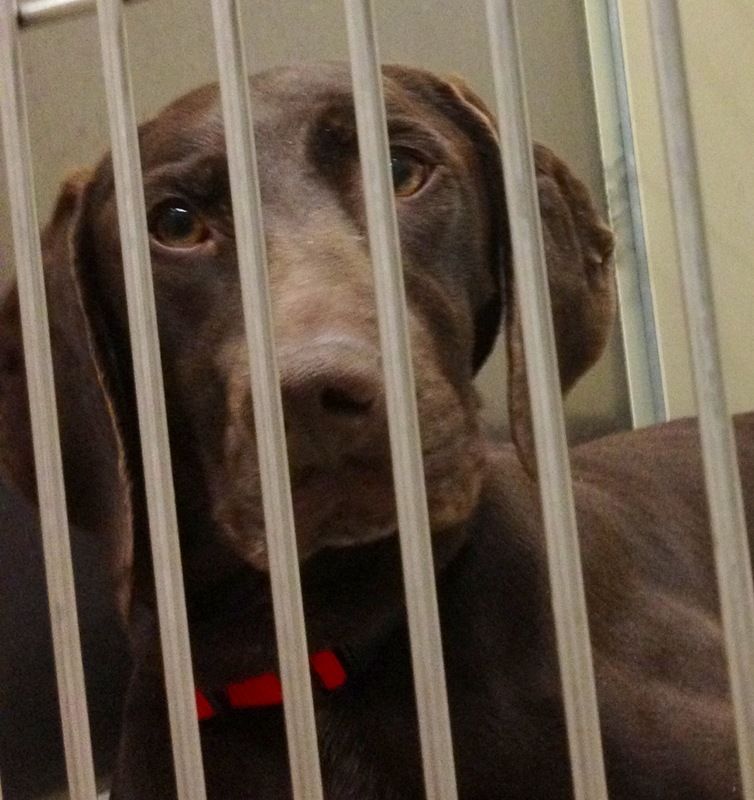 But you can also stop by any time to see me at the new shelter – 6435 Capitol Ave. in Diamond Springs. 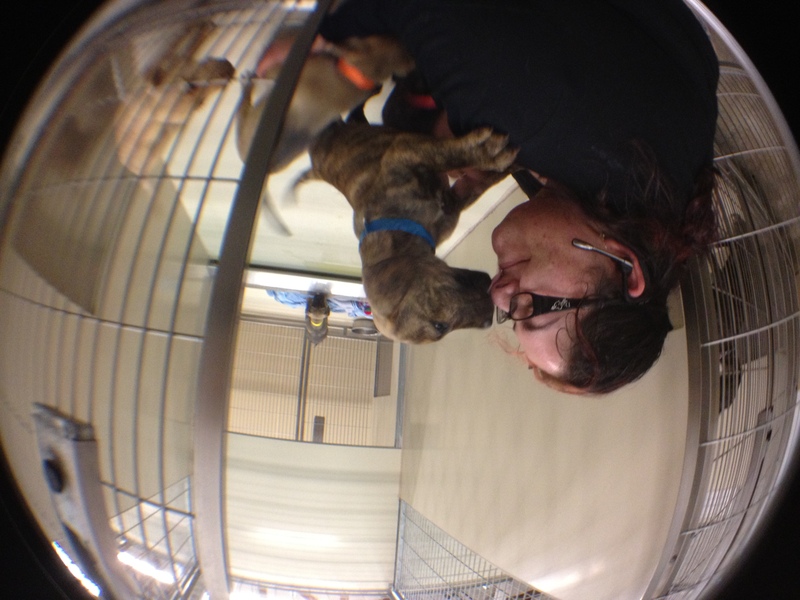 One last note for this post is that a New Shelter Volunteer Coordinator has been hired. 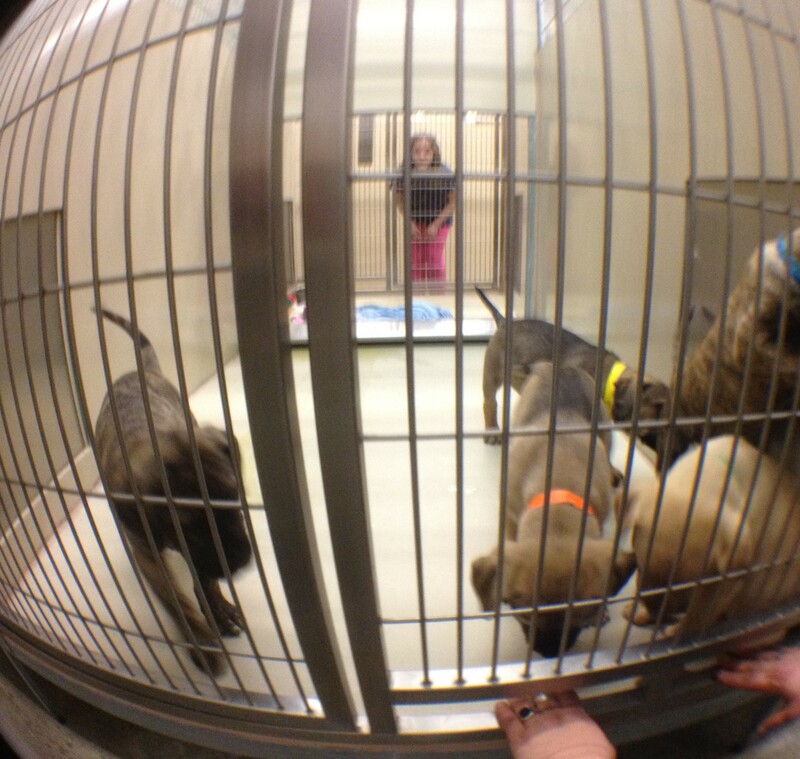 They will be taking over the role that PAWED has been providing of organizing and tracking the shelter volunteers. More on this in my next blog. Dobbins is one handsome cat, but Bullet is in a class of his own. Check the Christmas post with Bullet in his bow tie. is a bit talky but not too winey, and he at least tries to share his kibble with me. While this is actually a bad idea as I have food allergies and special food, he means well and I appreciate the sentiment. 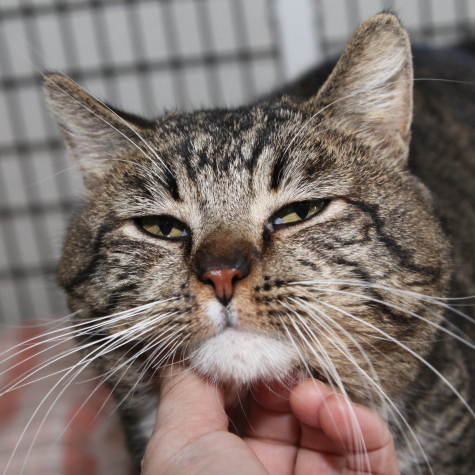 Dobbins is not as handsome as old Bullet, but would make a fine addition to any home. The shelter staff marked up the most recent version the new shelter plans and are awaiting a new set to peruse. It appears that this sort of thing is not super easy. 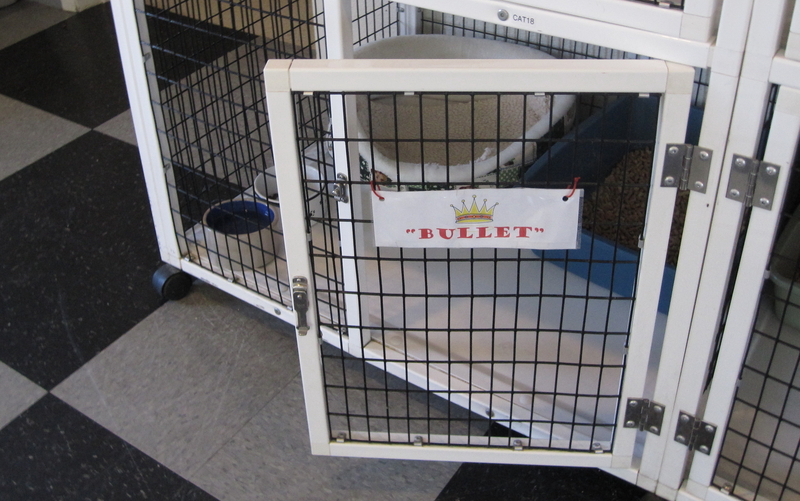 As long as they have spots for Bullet snacks, Bullet petting by his adoring public and staff, Bullet napping (preferably with sun), a safe Bullet enclosure for nighttime security from the Bogey Man and room for the fish bowl it will be fine by me. I may have to request some library books or internet access to do some research if this takes too long. I may have to enlist some help with sticky notes to mark pages as I am a bit Post-it challenged unless they are crumpled into a ball for me. 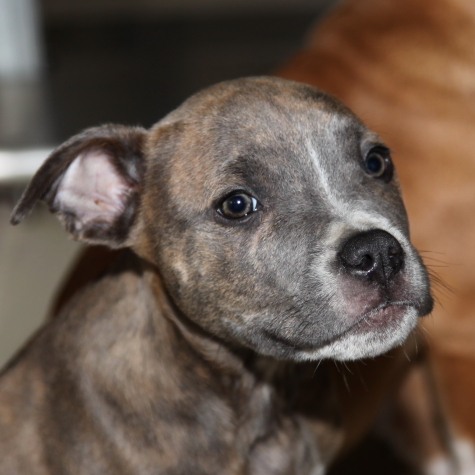 This week at the shelter, we got in 2 litters of Pitty Puppies, there sure have been a lot of them this year. How can you not love these adorable little guys. They will be available for adoption soon. 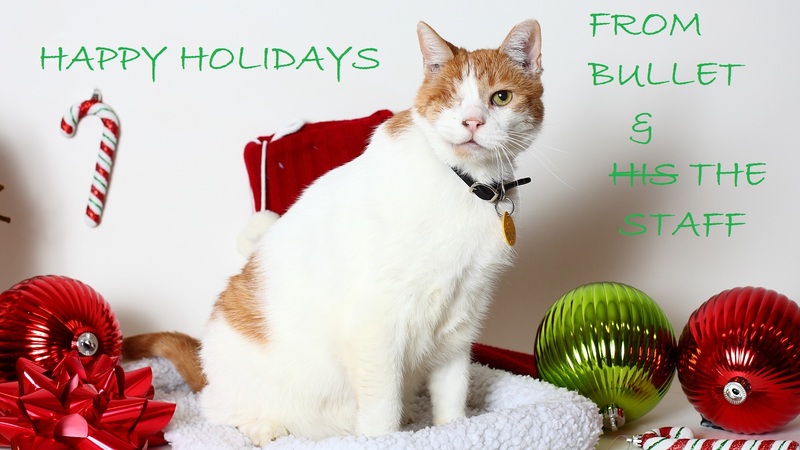 Don’t forget to stop by and pet Bullet in the front office when you come to the Shelter. Droopy hates the camera flash. is demonstrating – they just don’t seem to listen. The cats much prefer a chin scratch or a scratch behind the ears as demonstrated here by Cypress. Please take note that Cypress is a lovely lady cat who has had her entire adoption fee paid. As Cypress demonstrates cats much prefer a chin scratch to a camera flash. Please come visit us and find a cat, dog or rabbit that is the perfect one for you and your family. If you cannot find the perfect one for you this week you can at least pet me, give me a treat and then come back in a week or so to check again. I think I will work on the next chapter of The Delicate Snook Hook Caper. I probably should do an outline first but that would involve Post-it notes and could prove overly frustrating. That’s it Fur Now. – Bullet. PS – It’s Nap Time for me and the little ones. 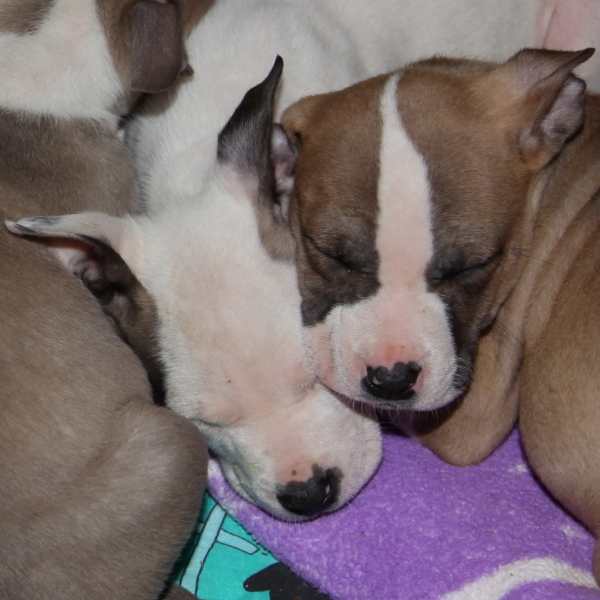 These Pittys are too small for adoption they are going into foster care. Check back in a week or so. Today I have a “pit”y litter section for my dog-blog. 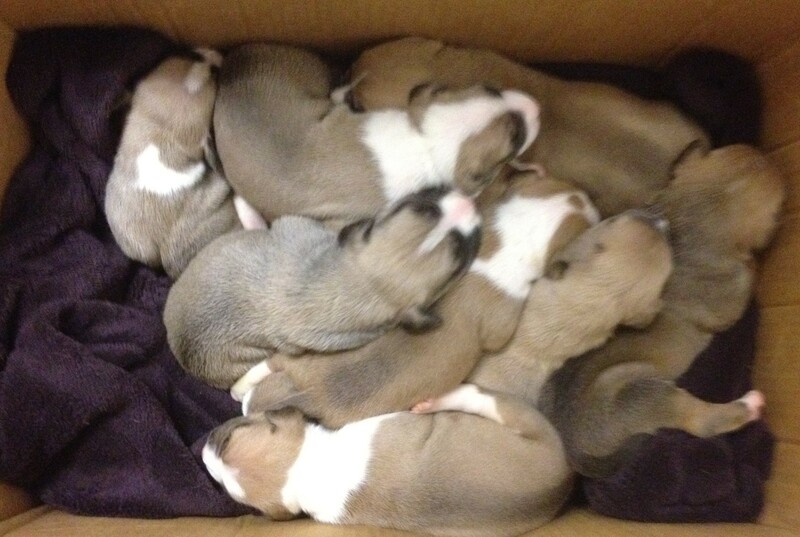 11 little pity puppies only 12 days old went into foster housing today along with their mom Lucy. 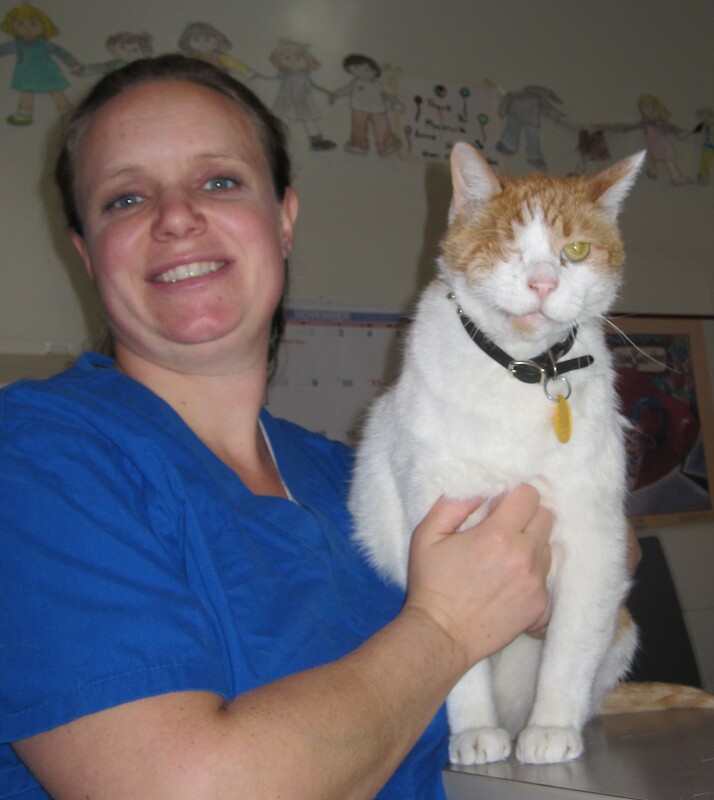 A great PAWED volunteer, Janice will be seeing to their needs and providing them with a wonderful home environment. My ghost writer got a few pictures for you today as they were leaving. And that’s not the only “pit”y litter today. A bunch of 8 week old puppies just arrived from their foster home with Carolynn, another PAWED volunteer, so they can be neutered/spayed tomorrow and go up for adoption. Just take a look at some of them. SOOO CUTE. – Did I just say that? Not to cool but very true. 8 week old puppy shows its appreciation the best it knows how. A young girl looks longingly at some of the puppies that will be spayed/neutered on Tuesday; and available for adoption on Wednesday this week. 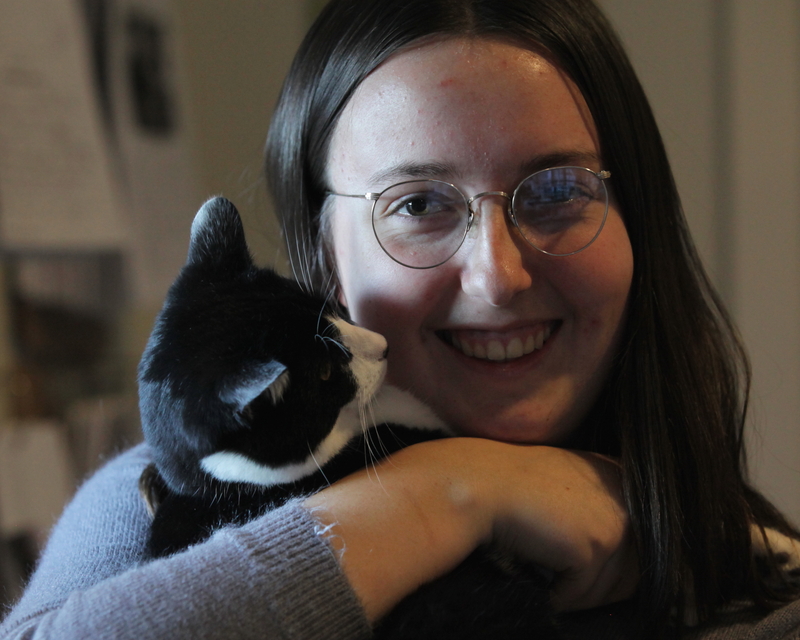 Emily was also in again teaching cats to cuddle. Great work guys. I also tested the aquarium water and sharpened my claws before my nap so all in all it was another successful day at the El Dorado County West Slope Animal Shelter. Gotta stay prepared in case the Bogey-man shows up at night. The dog-blog section is coming up but first some updates on kitties. 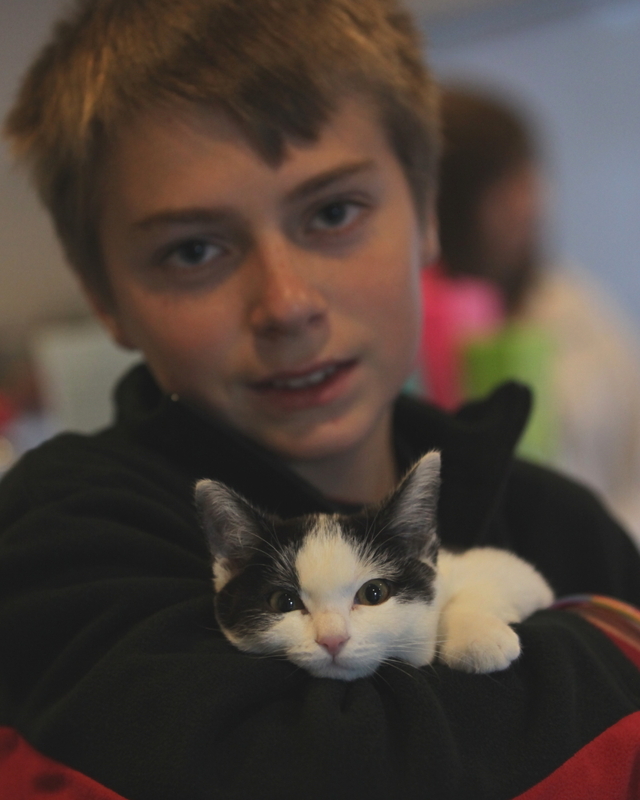 The special adoption discount at the shelter, for cats, is helping. Butterscotch has been adopted and Jacob has moved to theSouth Lake Tahoeshelter. Simba however is still needs to be adopted. He’s a nice chap so we are hoping he finds some one pretty soon. First, let me tell you that the Foster Parents for the shelter are pretty amazing. The newish shelter volunteer Donovan has taken in a dog called Evelyn to get her healthy so she is adoptable. There will be a story about the two of them in PAWED’s next newsletter which comes out the end of May. And… I just learned through our excellent volunteer trainer Kelly that Sierra is keeping some high falutin’ company as her foster home is the PAWED president. Sierra is this great and loving hound that needs some special help for her eye problems. The president even took her on a nice “sight seeing” tour to Rocklin. You gotta keep these hounds on the right track if you know what I mean. Any way major thankyous are being heard around the kennel for these special needs critters. Every one around here does a great job finding forever homes for the barky types (and the purry ones too). Dori and Nemo are a couple of cool German Short Haired Pointers. They are really fit and they are both youngsters in my book (about 3 years). It is my considered opinion that they would make great running, walking or jogging mates for you active types out there. Me I am more suited to “occupying the couch” or an available sunny spot or some light work aerating the fish bowl and testing the water. Don’t blame me if I mixed up Dori and Nemo. I am a cat and your just lucky that I even got the breed right. – All those dogs look the same to me – barks and has non-retractable claws = DOG. Tuck on the other hand is a smaller model dog. Being a poodle mix he has the curly locks thing going for him and is another youngster at just 2 years. He seems a quiet friendly little guy. He was just headed out for a walk with the PAWED volunteers when I saw him today. Annie has been in the shelter a while. She is a quiet lab mix. She has short easy to keep hair that is a lovely shade of tan with a few white highlights. She would be much happier in her own home where she can nap in peace – she prefers the only child gig to having a bunch of siblings. And last but not least is Gannon. He is absolutely sweet as pie. He is a big boy at about 70# and only 10 months old right now. He is tan with some subtle dark bits that come from his Akita heritage. Rumor has it he loves kids. I have it well documented that his tongue works really really well. Again, I am only just learning about this dog stuff but I suspect he’s gonna make a great companion for a person willing to teach him the ropes and provide the proper guidance. Please get over to the shelter and check these guys out. Its fine to go back to the kennel to see them but don’t forget me, Bullet, I need some pets on the head and a treat too for all my hard work. After all I do have to test out these dogs for you and hold down furniture that is sitting in the sun out in the front office. Videos are up. Not great but what do you expect from a one eyed cat with no thumbs who is just learning how to do this? It has been pointed out recently that PURRRhaps I lack a little purrrspective on the canine point of view. They say write what you know – the humans do at least – so I am going to spend some time now watching PBS, The Dog Whisperer and reading Uncle Matty’s column. I already watched the PBS program on the evolution of dogs. Purrrsonal experience for me has been mixed but I will quit watching the HISSStory channel and focus on the canine contingency at the kennel. 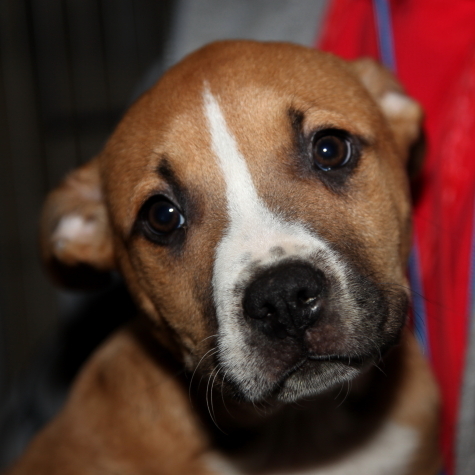 Pooch interviews will commence this week so check back soon for some updates on shelter doggie doings. Next thing you know you’ll want me to interviews on roosters, gerbils and other kitty playthings. This is going to take some readjustment. Lots of adoring fans stopping by with treats and at least a pet or two would be very HELPFUL to put me in the right frame of mind. Signed – Bullet the cat with the unique PURRRRSPECTIVE. A lot has happened since I blogged last – way back in January. My Deputies, Strike and Dip, have gone on to do private secutity work in homes that Animal Outreach found for them. So, since they are no longer doing under cover work, other than some cuddling, I can now report to you their real names were Frida – like the Mexican artist Frida Kahlo (bio here http://www.biography.com/people/frida-kahlo-9359496), and Izzie, like the Chilean writer Isabel Allende (bio here http://www.biography.com/people/isabel-allende-9181801) – Can you tell I’ve been watching PBS and surfing the internet during off hours? Don’t tell the staff, please. – Before the girls retired they reported in that Animal Outreach’s services and personnel were stellar. They (kitties Frida and Izzie) also now no longer have to worry about having an unwanted litter of kittens – that is to say they had their OVH, or spay, surgery and healed up really fast. They even got trendy little kitty tattoos at the incision to make sure that they never need surgery to check and see if they are spayed. 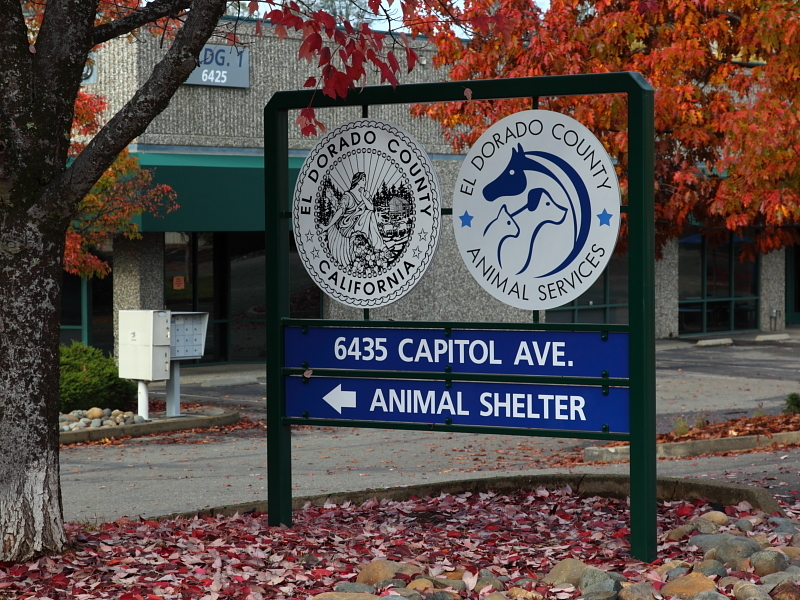 The El Dorado County West Slope Animal Hotel, ah, Shelter is currently a bit over booked. That is to say we have too many cats in this place. A little company is nice a lot is not. And in my opinion they need some new lodging. It gets a bit old when relatives overstay their welcome, if you know what I mean. So I have learned to sort of run the video option on my little camera. I will tell you a bit about each of them, and you can check out the videos for yourself when I post them tomorrow. They all do take after me a bit as they are handsome devils and enjoy petting as well. They are all a bit older so there are some funds to help out with the adoption fees. If you are a senior yourself there is further fee assistance. Let me tell you about them. Jacob has short cropped hair and is dark and handsome with a few gray accent marks. He is friendly and quite quick to purr. He is a 5 year old neutered male. He is currently in an apartment with a younger gal named Blair who has medium length jet black hair – lucky guy. The other two guys I need to tell you about both look a bit like me. That is to say they have short hair and are both orange with tabby highlights. They do not have my striking white patches but I think you will still find them both pretty handsome neutered males. Butterscotch is 11 and easy going. He loves kids, dogs and would make a marvelous lap cat. Even though he is 11 he has great pearly white teeth. Simba is his apartment mate. 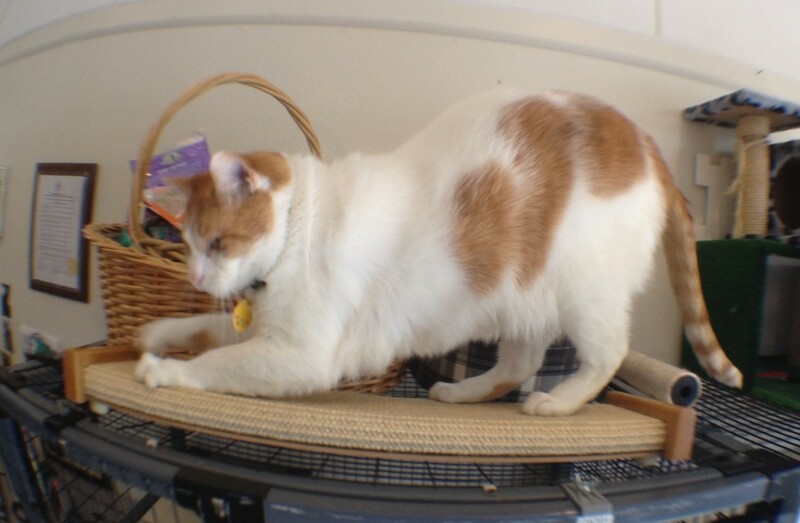 – Clearly Jacob got the better deal.- Simba is only 7 years young, neutered and very loving. He also has beautiful pearly whites, is neutered and enjoys being petted. He is a bit more shy than Butterscotch but still a great guy. 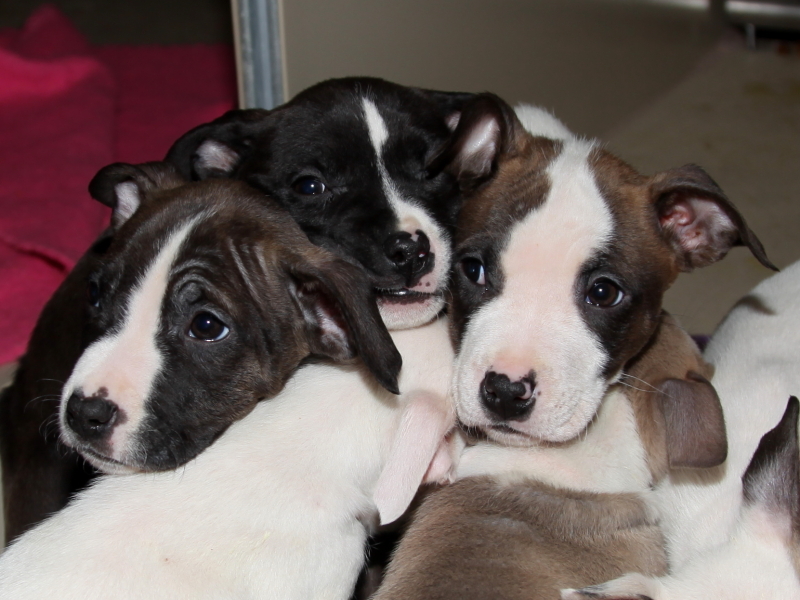 Please stop by the Animal Shelter and say hi to me and the boys and girls – and maybe take one of them home. More space for me and they will be happier – trust me I’m a cat. Hope everyone had a delightful holiday season. 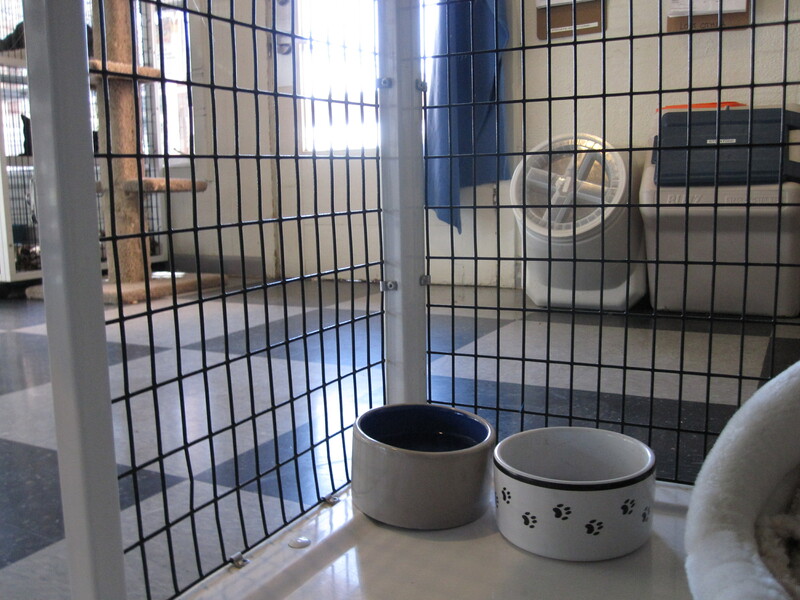 Everyone here at the Shelter is beaming about the new walk on scale PAWED members Michael and Jamie got for us. I am not so sure about it though. If I avoid walking on it out of curiosity (hard thing for a cat to do) then I can continue to lie about my weight. This is gonna be tough. At least I still have that new fish tank to drink out of… someone has to make sure the fish get their exercise – right? I think the last critter of the year to be adopted in 2011 was Boo an all black female cat adopted as part of the Home for the Holidays program who was adopted on the 31st of December. There has been quite a bit of traffic through here on a lovely Friday afternoon. One of the officers brought in an all black cocka-pug or some such. Lily the Basset hound is lounging out front getting some quality time with the shelter staff and Shelter volunteer Emily is doing what she does best. Emily teaches the kitties (young and old) how to cuddle properly. 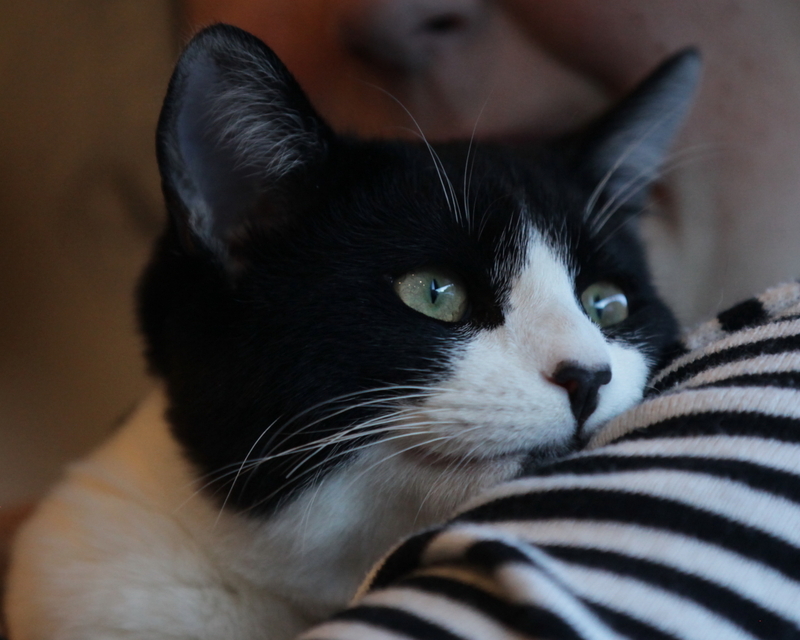 Brad the black and white tuxedo cat matches her sweater purrfectly and he has become such an expert at snuggling. So much so that he found a new home with Michaela today, lucky guy. 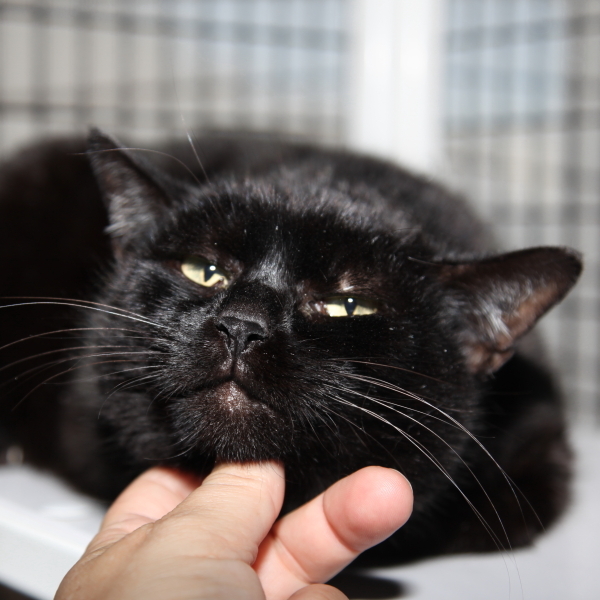 Emily happily switched over to Celeste, the short haired, all black spayed female. 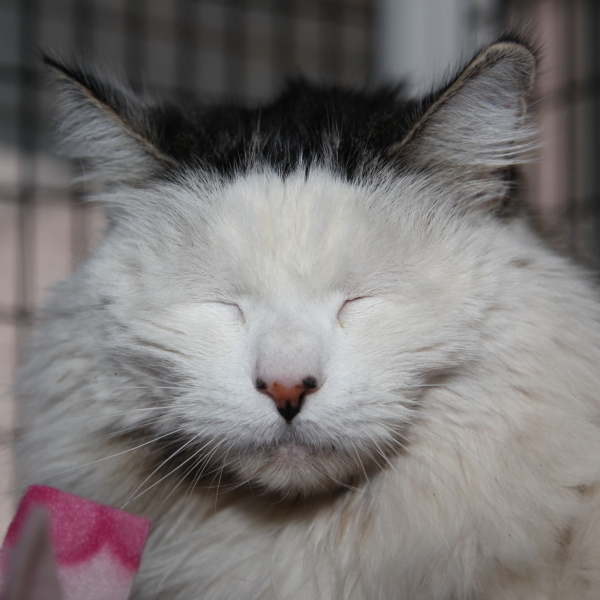 Celeste is about 2 ½ years old and so soft and cuddly that she won’t be here long either. I have a theory that Emily’s pets make our cat fur just that much softer. Thank you Emily for all that you do. Through her lessons Baby has gotten a new home with Corbin today too. I have deputized my first undercover agents. They go by the codes names “Strike and Dip”. Like Rosencranz and Guildenstern I have no idea which is which but they report together so it is kind of irrelevant. These guys are young, about 7 weeks old, but they get around and do some fine reporting. They are private fosters right now. Their early history is more than a bit sketchy but my agent picked them up at the Falcon Crest Trail Head onSalmon Falls Road. They are sisters and some one dumped them there. They report that is was so cold overnight that the milk some one left for them had ¾ inch of ice on it and the turkey pieces off of a pizza were so frozen as to be inedible. Their best recollection is that they were out there for 3-4 days and getting pretty skinny before my agent was able to meet up with them. They definitely had some rough times as one of them had a broken jaw making it pretty tough to eat. Well my agent, code name Yak, and her hiking partner D took action and found them a safe room some miles away. It was warm, clean and safe and they were happy for the accommodations. As they needed to go to Animal Outreach for some vaccines and jaw work I sent they on their first assignment today. Some of it is a bit fuzzy due to the anesthetic and all. Kind of important if your having your jaw wired to repair it. They people there were all friendly and caring. It was really busy but they still found time to fix the deputy’s jaw and get a whole passel of kittens and cats spayed and neutered today. Really want to thank the surgeon for putting my girls in good order again. Their next undercover operation will be in January. They may post some You tube videos of their antics over the Holidays though. Stay tuned. 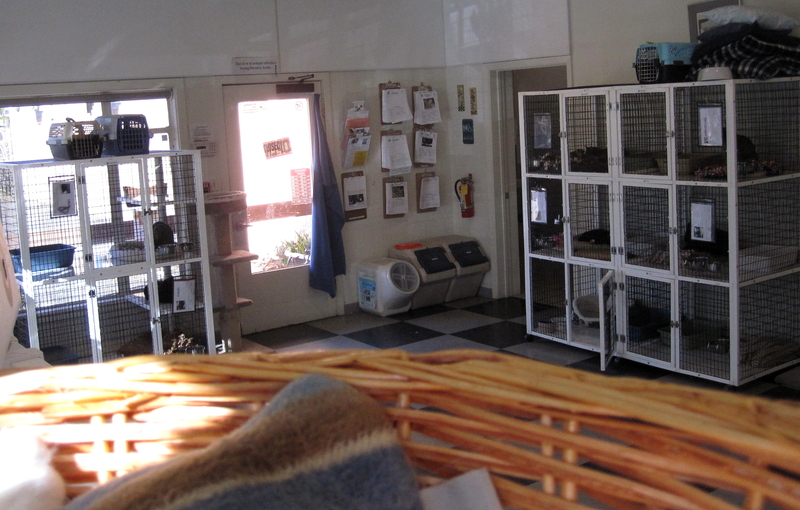 For today I though I would give you a cat’s eye view from my basket and a look at my night time safe house where the boogey man cannot get me while I sleep here in the shelter. The shelter staff tell us stories about this scary ghost dude that cruises the shelter after closing to convince us we need the safety these provide. I think it’s a ruse but hey I sleep more soundly. Doc (The PAWED VP) was so impressed yesterday that she was back to take Alli’s and my picture, after I took care of an itchy spot and made myself presentable. Check out the pictures. Don’t miss me in the Fall PAWED Newsletter (Alli is there too). I’ll get my writer to post the link when its ready. I really need to get some beauty sleep now to impress the customers they expect a lot out of me ho hum – nap time. Oh yeah enjoy a couple of photos while I nap. 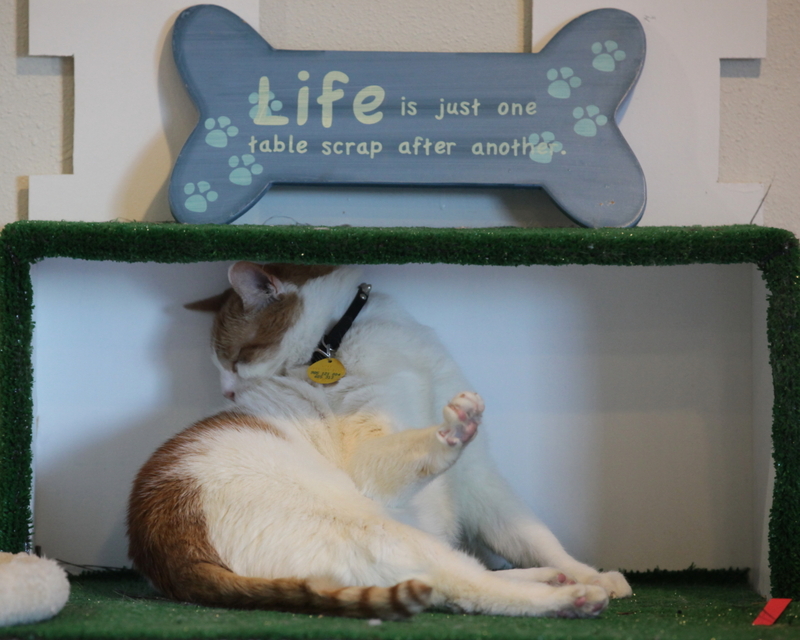 Life at the West Slope Shelter is just grand. No I did not get into some one elses cat food or donuts last night - hiss. Just a little itch.